We have been focussing heavily on recycling as part of our science work in Class 10. We asked the pupils to think about ways we can help to make Turney School more efficient by encouraging an even better use of recycling techniques. All class members took part in an observation walk around the school. 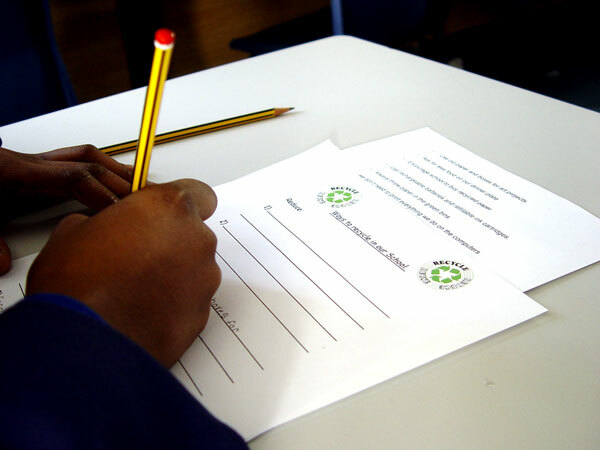 We then returned to the classroom to produce a report as to how we can further improve Turney School when it comes to recycling. Ideas included buying in recycled paper, and using refillable ink cartridges in the school office.